David Bach Wins Second Bracelet of 2017 World Series of Poker, and he is one step away from being declared the Player of the Year - Casino Inside - The gambling industry magazine! The event number 30 carried out between 15 and 17 June at the 48th edition of World Series of Poker (WSOP) awarded David Bach as winner. The 150 contestants, payers of an amount of 10.000$ per player, have led to the achievement of a prize pool of 1.410.000$. Two of the very well-known poker lovers of our country were also counted among the players at the final table: Daniel Negreanu and Jason Mercier, who finished in the 6th and 5th places. It is interesting that the above mentioned American, Mercier, was the head champion, the winner of this event in 2016, and he actually tried to become the first WSOP contestant player, who defends the title he won one year earlier. Another noteworthy thing refers to the very winner of this tournament, David Bach, who managed to do a rarity, i.e. to win 2 bracelets within the same WSOP edition, this year he has already managed to win a bracelet at the famous tournament 1,500$ Dealer’s Choice 6-Handed. H.O.R.S.E. is one of the most popular mixt poker game versions, and the game acronym comes from the combination of 5 poker games: Hold’em, Omaha Hi/Lo, Razz, Stud, 8-or-Better. This mixed poker style is used in tournaments with a higher buy-in, because thus it is reduced the advantage a player specialized in a single type of poker has on the other players, and meanwhile it stimulates a poker player to have knowledge in a much broader area generally specific to the poker game, which an experimented player might have. Each player received at the beginning of tournament 50.000 chips, the time of a level was of 60 minutes. Returning to this tournament, after 2 days of battle, of the 150 contestants, we have come at the moment when there are only 12 players left at the tables, who had 16.951$ ensured in their pocket, at that time. The 15een have been separated at 2 games tables, the chip-leader was, at that time, Negreanu with 1.213.000 chips, followed by Scott Bohlman with 756.000 chips, and Don Zewin with 704.000 chips. In the first rounds, we have noted the most important event when Negreanu eliminated Brian Rast, sending him home with the check for the 11th place, meaning 23.508$. All happened at a Stud hand. The last eliminated, before the final table, was Richard Chase. He was taken out by the winner of the tournament, David Bach, also at a Stud hand. Therefore, before entering at the final table, Negreanu was detachedly leading in the number of chips – 1.600.000, followed by Don Zewin with 1.420.000 and by Jason Mercier with 1.270.000, and in the 4th place were Bach with 960.000. At the end of the 27th level, in a game of Omaha Hi-Lo, Eric Rodawig opens the hand with 20.000, Negreanu answers in BB with call. The Flop shows his 3 cards: J-6-6, Negreanu gives check, Rodawig gives raise with 60.000 chips, Negreanu gives call, and the turn shows a 5. Negreanu also throw in 120.000 chips, Rodawig gives raise to 240.000, and Negreanu gives call with the last chips. 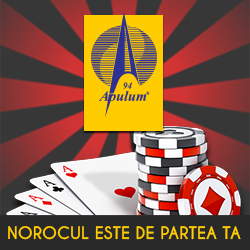 The river shows an Ace, and the Canadian of Romanian origin leaves home from the 6th place and with 61.677$ in his pocket. Omaha hands send Andrew Brown and Don Zewin home, and get ready for heads-up the last two bracelet candidates: Eric Rodawig (4.175.000 chips) and David Bach (3.325.000 chips). A Stud hand reverses the situation at the table, and makes Bach a winner. From now on, everything will go in one direction until the end. In less than an hour of gamming, since the starting of heads-up, at an Omaha Hi/Lo hand, David wins the dreamed bracelet, and the 1st place prize: 383.208$. Here is how the last hand of the tournament went. Bach gives raise form the button with 300.000 chips, and Eric gives call by defending his BB. Flop shows us Q-K-As, Rodawig gives raise with 150.000, Bach gives raise to 395.000, and Eric responds with the last 395.000 for an epic end. The players show their hands. David has Ace-J-9-8, and Eric J-9-9-3. The turn shows us a 5, the last card of the tournament, there comes is a 7, and David wins. Bach performed a wonderful tournament; he played confidently and made no futile risks. Now, David Bach has a total of 3 bracelets and a second bracelet obtained in a H.O.R.S.E. tournament after the second one obtained in 2008, in the tournament with 50,000$ H.O.R.S.E. World Championship buy-in, when he won 1,276,806$. At the moment, the poker winnings of Bach reach 4.000.000$, and he has big chance of becoming the Player of the Year 2017, being the only one with 2 bracelets won at this World Series of Poker edition.